"The Muslim women have the say in the family. They raise their daughters to be will-less lemmings, their sons to be spoiled machos - and because these pampered machos fail in life, they’re raised to be the next radical extremists." In her book, Zana Ramadani pleads for an open, brutally honest confrontation and makes one thing clear: without the Muslim mothers, integration cannot work. Zana Ramadani is one of the most assertive Islam-critical voices in Germany. 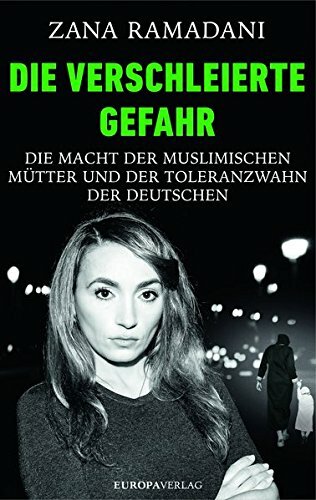 For the committed human rights activist, it is clear: An Islam that takes the Koran literally and demands rules from the Middle Ages, disregards women and radicalizes young men who reject Western culture and the laws that exist here, does not belong to Germany. This daughter of a Muslim immigrant family, Zana Ramadani also experienced violence and oppression. She quickly learned that it is often the Muslim mothers who rule the families, passing on to their children the misogynist values ​​they suffered from themselves. In her book, Zana Ramadani makes it clear that the integration of Muslims into our society cannot succeed as long as Muslim mothers educate their sons to be spoiled machos and their daughters to be obedient and conform. She also makes very clear that we must stop playing down political Islam and the continuing discrimination against Muslim women as a cultural characteristic if we want to defend our free democratic basic order.